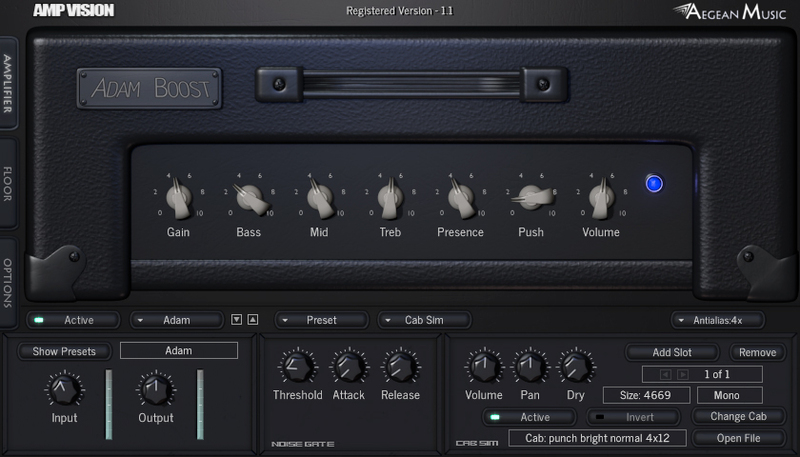 Amp Vision is a VST and AU plugin for guitar processing giving you limitless tones instantly in an easy to use package. 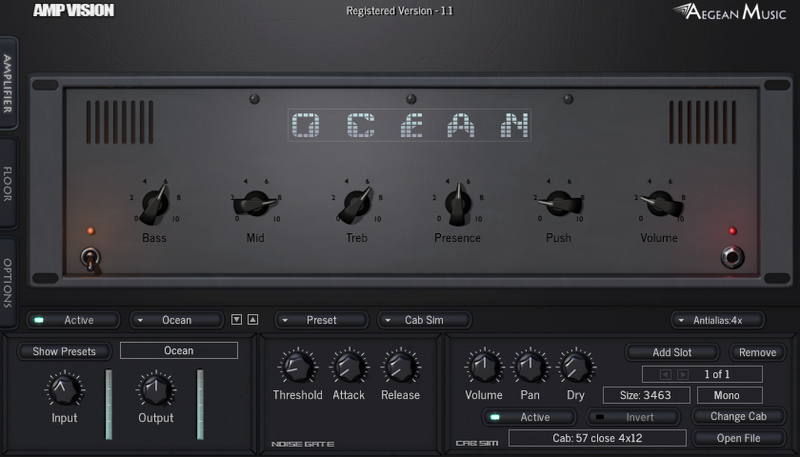 It interfaces with your existing compatible DAW or other audio application (a VST host or Mac AU Host), and excels in multiple roles such as recording, performing, practice, and re-amping or re-imagining existing tracks. 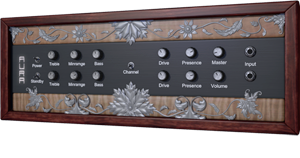 Cab sim, effects, or amp modeling can be bypassed. Internal 64 bit (double precision) processing. No added latency (aka zero latency). 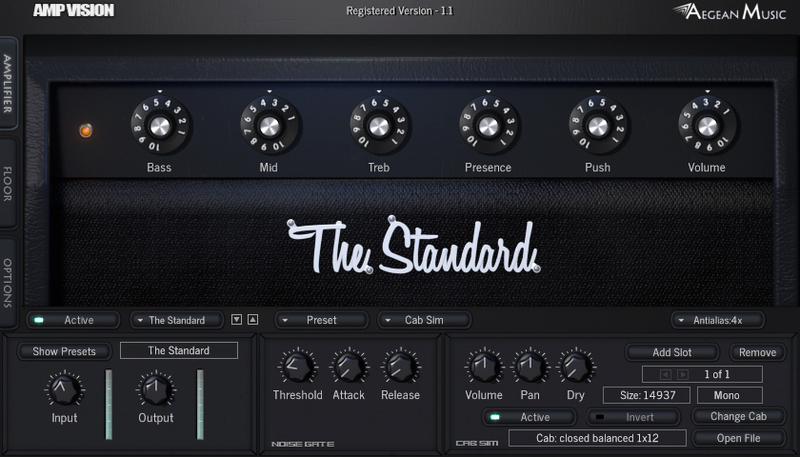 The amp simulations in this plugin cover an incredibly wide range of guitar tones. 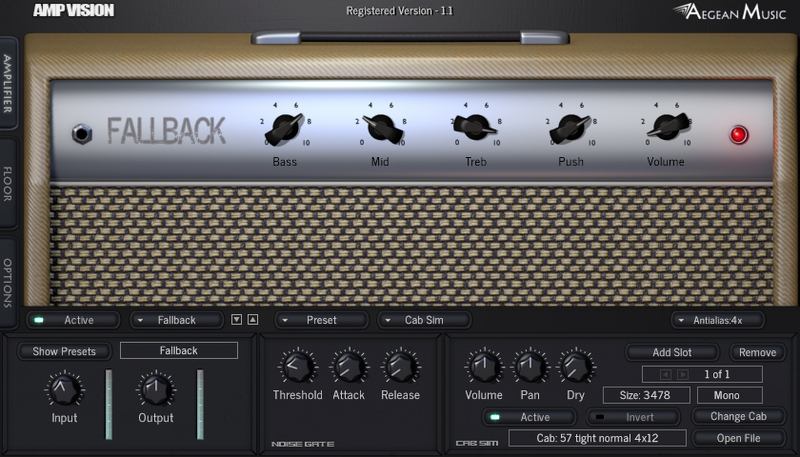 Many of these amps are inspired by classic guitar recordings and vintage amplifiers. 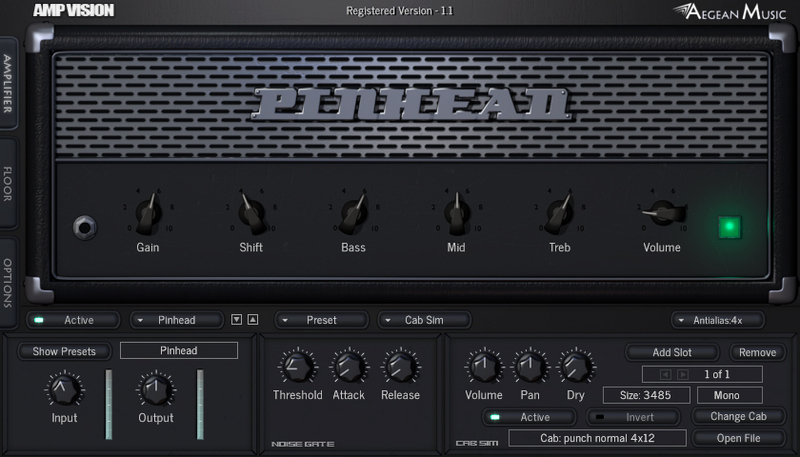 Modern amps are also represented, letting you produce the tones of modern metal, or pristine clean rigs. 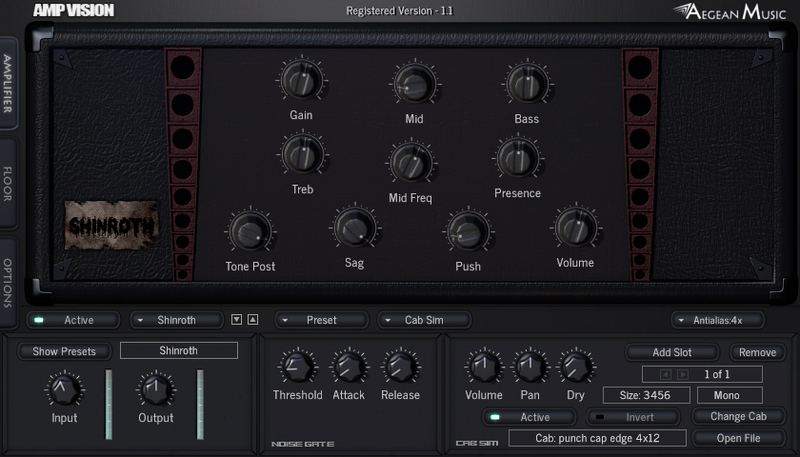 Your presets are easily organized in an internal library that is part of the plugin. 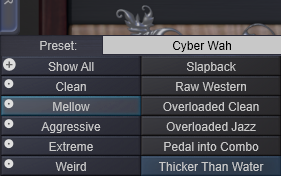 You can customize unlimited presets and organize them in your own categories. The library is a simple file that the plugin produces allowing you to keep copies of it or transfer the data. The factory presets are a great resource for getting the tones you are looking for quickly, and a good starting point for making your own unique sound. Plug in effect pedals before or after the amp circuits in any combination to suit your needs. 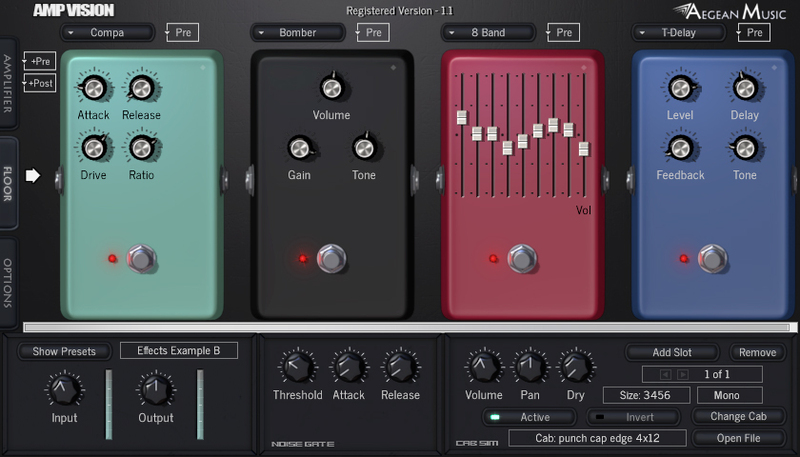 Multiple distortion and overdrive effects (also usable as a boost, or "dirty boost") are featured. 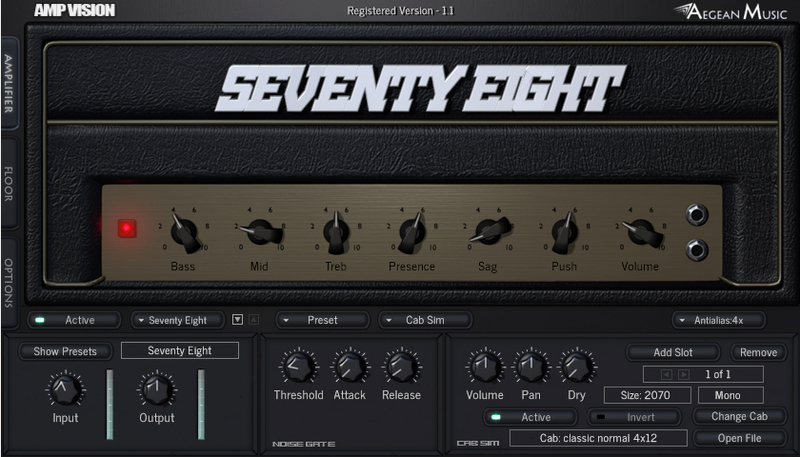 Compression, auto-wah, octave fuzz, delay, and equalizer options are also included. 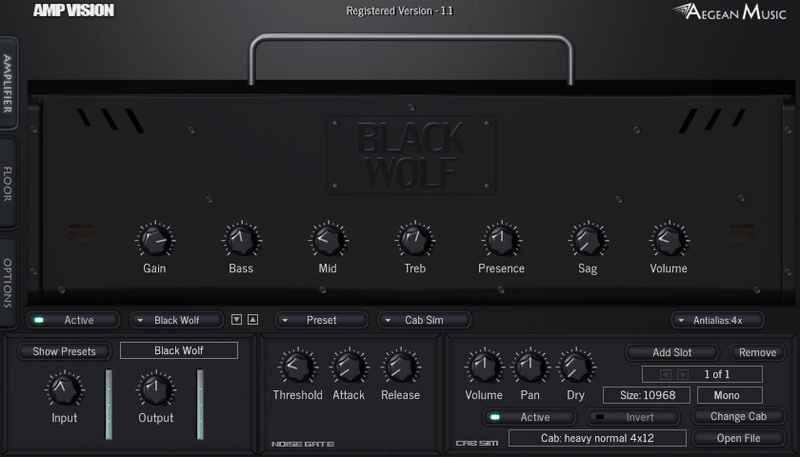 Now also chorus, flanger, tremolo, etc. are included. At the front of the signal chain is a noise gate to control any hum or noise. 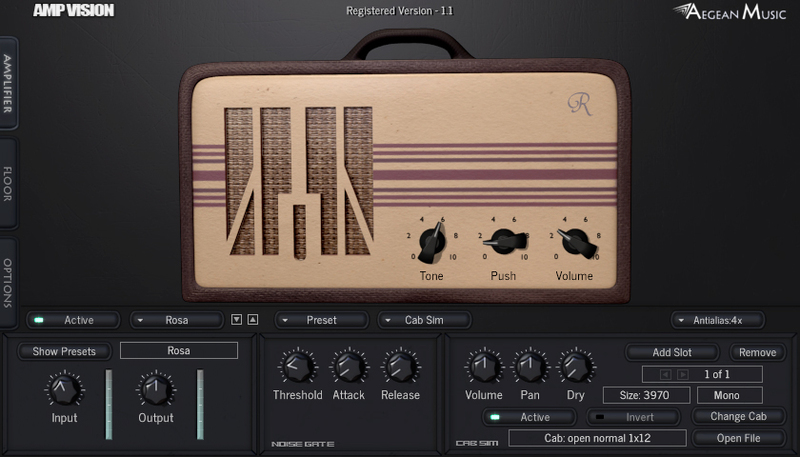 Along with simulations for an amplifiers electronics, simulation of the speaker and cabinet is a must have feature to achieve realistic guitar amp tones. 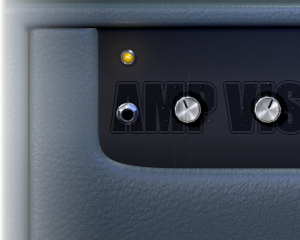 Amp Vision includes this (we call it "cab sim") and there are a number of cab/mic positions to choose from built into the program. That's just scratching the surface though, the program can import the standard cab sim files (called impulses, impulse responses, etc.) available on our site and around the net. These files can be organized in the internal library, with categories, meaning you can build an organized database of thousands of can and mic positions. Enter the codes into the boxes. Click enter and the activation should be complete. You can buy Amp Vision direct from us, available as an instant download. Windows XP or later version of Windows. 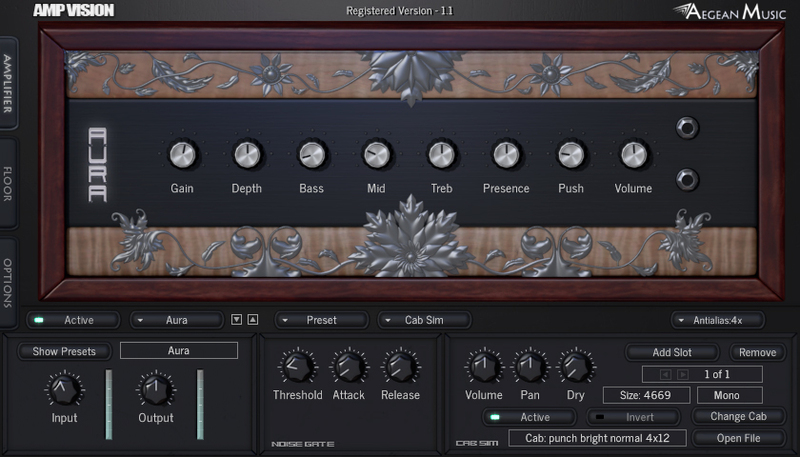 A compatible program (a VST host, some of which are free) is required to use the plugin. For Mac version Mac OSX 10.7+ reccomended. VST and AU host programs will work, including Garage Band and Logic X.